Transfers are the new normal in college basketball. Everyone seems to have at least one at some point during a four-year cycle. There are a few outliers, but those schools usually don’t tread in those pools because they don’t have to or choose to opt out of the process. The one name who isn’t on this list of the top 15 — yet — is Mustapha Heron. His eligibility isn’t finalized at St. John’s after transferring from Auburn (once he withdrew from the NBA draft). If he’s eligible, then expect him to have a major impact on the potential NCAA tournament-bound Red Storm. New Mexico’s JaQuan Lyle was on the list up until this weekend when he suffered a ruptured Achilles and is now out for the season. Lyle would have had a major influence on the Lobos. 1. Reid Travis, Kentucky: Travis will be a major factor for the title-chasing Wildcats. Travis was a stud at Stanford, and his decision to withdraw from the NBA draft and then transfer sent multiple teams scurrying for his services. Kentucky landed him, and he will be the experienced forward the ‘Cats crave. He also has the potential to be a double-double machine for Kentucky. 2. Dedric Lawson, Kansas: Lawson was a star at Memphis and a big-time scorer for the Tigers two seasons ago. Though he sat out last season with his brother K.J., Dedric is expected to be an all-Big 12 candidate this season and make an immediate impact for the Jayhawks. 3. Joe Cremo, Villanova: The Wildcats don’t normally take transfers. 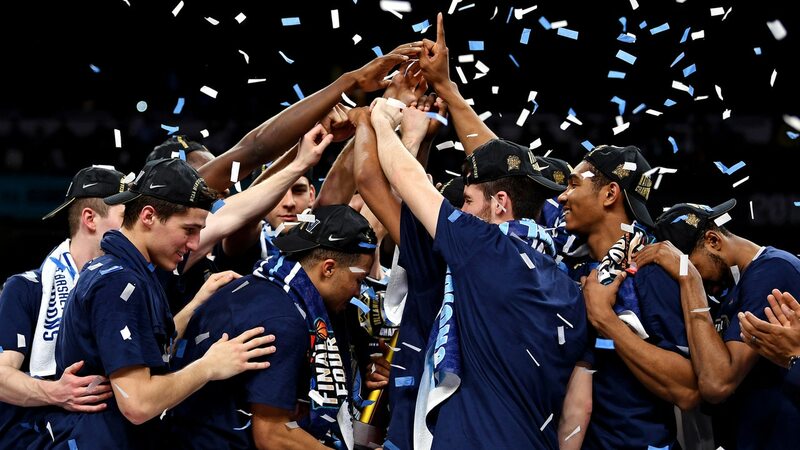 Jay Wright made a point of saying it can take time to get the Villanova way. But the departures off last season’s championship team called for a scorer. Cremo did that for Albany and can be an instant hit for the Wildcats. 4. Geno Crandall, Gonzaga: The Zags were looking for one more player to help them, preferably on the perimeter. Getting Candall, who was a big-time scorer at North Dakota, gives the Zags yet another experienced wing among many. Crandall has a chance now that he would never have had at UND — to compete for a national title. He’s certain to embrace this chance. 5. K.J. Lawson, Kansas: K.J. may not be as prolific a scorer as Dedric, but he could still have as much of an imprint on the Jayhawks. The brothers will help a loaded Kansas team compete for yet another Big 12 title and a possible Final Four berth. Dedric and K.J. spent the year sitting out, getting used to Bill Self and the staff as well as the expectations. 6. Makai Mason, Baylor: Mason scored 31 points in a 2016 NCAA tournament upset of Baylor while playing for Yale. Now, two years later, Mason will be knocking down shots for the Bears. Baylor desperately needed another experienced scoring guard. Mason delivers on the need. 7. Marial Shayok, Iowa State: Shayok sat out last season after playing three seasons at Virginia where he improved in each one. The Cyclones were the one Big 12 team that wasn’t in contention at some point last season for an NCAA tournament berth. That’s going to change this season where the Cyclones should be a tourney team. Having the experience of Shayok is a huge lift after a bridge season a year ago. 8. Matt Ryan, Vanderbilt: Ryan sat out last season after transferring from Notre Dame. He’s a shooter, and one that will benefit greatly playing with freshman point guard Darius Garland. Expect Ryan to be a stop-and-pop player who will flourish on a team that should be in contention for an NCAA bid. 9. Tramaine Isabell Jr., Saint Louis: Isabell was a star at Drexel last season, averaging 21 a game. He started his career at Missouri. So, he has had to come into multiple programs, make a solid impression and get off to a great start. The Billikens need a player like Isabell if they’re going to compete for the top of the A-10. 10. Trey Porter, Nevada: The 6-11 Old Dominion transfer is already making a play for the starting lineup a week into practice. Porter should play well off heralded freshman Jordan Brown and be able to score, finish and board in the post. The Wolf Pack will be loaded with experience with the return of Caleb and Cody Martin as well as Jordan Caroline. Porter comes in ready to play. Eric Musselman has had tremendous experience working with one-year players after his stint in the G-League as well as in his previous roles as head coach of the Golden State Warriors and Sacramento Kings. 11. Jarred Reuter, George Mason: The transfer forward from Virginia is expected to be a major player for the Patriots this season. Coach Dave Paulsen is counting on Reuter being a scorer and integral part of their offense. Reuter has played in a disciplined system and shouldn’t be someone who makes careless errors. The Patriots needed another offensive weapon to make a move up the A-10 standings. The hope is Reuter will deliver. 12. Dion Wiley, Saint Louis: Wiley had four seasons at Maryland and will end up shifting that experience to a Billikens team that should be on the verge of a breakthrough season. The exception is for him to become much more of a scoring threat. And there is a real chance that will occur. 13. Curtis Jones, Oklahoma State: Jones played in 40 games in his one-and-half seasons at Indiana. He left at mid-semester last season and signed with the Cowboys on Jan. 16. He is expected to be eligible at mid-semester this season. Coach Mike Boynton will need Jones for the final stretch of non-conference before diving into a deep and difficult Big 12 yet again. 14. Keyshawn Woods, Ohio State: The Buckeyes had great success with a one-year addition last season under Chris Holtmann. Andrew Dakich was the perfect answer for a backcourt that needed an experienced lift. Woods could deliver the same for Ohio State this season after playing in 61 games total between his time at Wake Forest and UNC-Charlotte. Woods is on his last season and third school. This is the place to make a lasting impact. 15. Connor Cashaw, Creighton: Cashaw led Rice in scoring, rebounding and steals last season. What did the Bluejays desperately need — a reliable, veteran scoring guard after losing Marcus Foster. Cashaw could deliver on all of that during what could turn out to be a bridge year for the Bluejays or a season in which they surprise yet again.